Where does the money come from? Mainly from the United States for 9.6 billion. Then from the middle east; the United Arab Emirates (3.5 billion), Saudi Arabia (3.2 billion), Qatar (1.1 billion), Kuwait (846 million). It comes also from Canada for 2 billion, Malaysia for 1.6 billion, Japan for 1 billion, Australia for 865 million, and many other countries. These figures are directly correlated to the number of Filipinos migrants in those countries. Philippines biggest exports are people to work abroad to generate money to be sent back home. Zcash is the best cryptocurrency by design in my opinion bec of the hybrid flexibility allowing regulations to let its transparency be allowed for the US dollar to easily purchase it thru Coinbase and Gemini, which are as easy to use as the iPhone or the Samsung Galaxy S.
And honestly, I have no use for XRP, ETH, EOS or any of those platforms. Why? Because in place with those, I can use Visa, Google, Microsoft and other Centralized platforms that are easy, fast, free to use. I mean, why would I want to pay if I can get xvideos.com for free? Bitcoin, I’m forced to use it because of Coins.ph. When I send money to the Philippines, they don’t take Zcash. My Chinese friends who lives in the Philippines, they rather take Zcash, perhaps bec they use their relatives to exchange with Bitcoin, then to another relative as a gift to cash it out, in the end, they don’t pay taxes. XRP, BCH, BTC and ETH are all listed at Coins.ph. Coins.ph caters monetary movements to pay bills, load Philippine prepaid roaming CP disposable simcards like Smart and Globe which every OFW uses. The Philippine culture is mixed up of four. 1898, Guam, the Philippines, and Puerto Rico became territories of the United States. That’s when we learned to sing American Top 40’s and started sending cover bands OFW to Japan and Hongkong. They loved American Love Songs until we showed them Pinoy Rock. Anyway bottom line, American and English became part of our culture even after we gained Independence from the Americans, Treaty of Manila was signed on July 4, 1946 right after World War 2. All legal papers are written in English in the Philippines. When will Zcash be traded in an Exchange like Coins.Ph? I will try to do that. I’ll post of any response from them. We send more money now from all over the world to the 7,107 islands of the Philippines. The Chinese who came before the Spanish. Spain in 1521 by Ferdinand Magellan who proudly annouced he discovered the Philippines with people that are not Indians but other Indios playing Mahjong who were not Chinese. In 1898, Guam, the Philippines, and Puerto Rico became territories of the United States. Anyway bottom line, American and English became part of our culture even after we gained Independence from the Americans when Treaty of Manila was signed on July 4, 1946 right after World War 2. 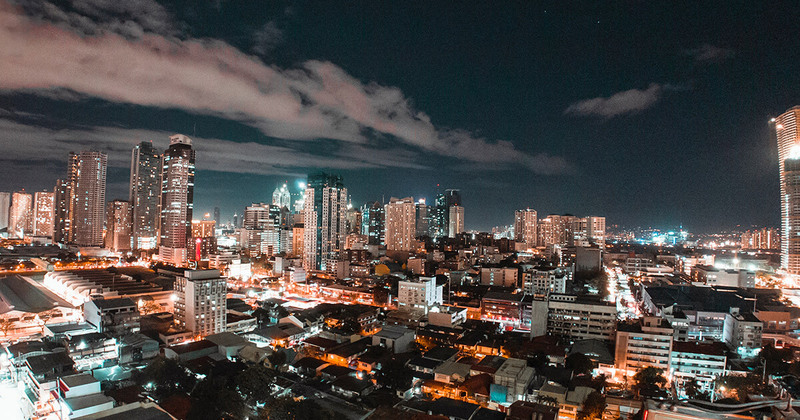 The Philippines has become the latest nation to issue a cryptocurrency regulatory framework through the Cagayan Economic Zone Authority (CEZA). I’m sure the Zcash Foundation and Electric Coin Company would love to see Zcash used in the Philippines. There is nothing stopping someone in the Philippines from downloading the Zcash client, syncing with the network and using Zcash. As far as a particular exchange supporting Zcash, you will need to contact them to add it. Posting Philippine propaganda here on the forums won’t help to get Zcash listed on that exchange. Edit: I see you already have and identical thread about this already started, I’m moving this post there.